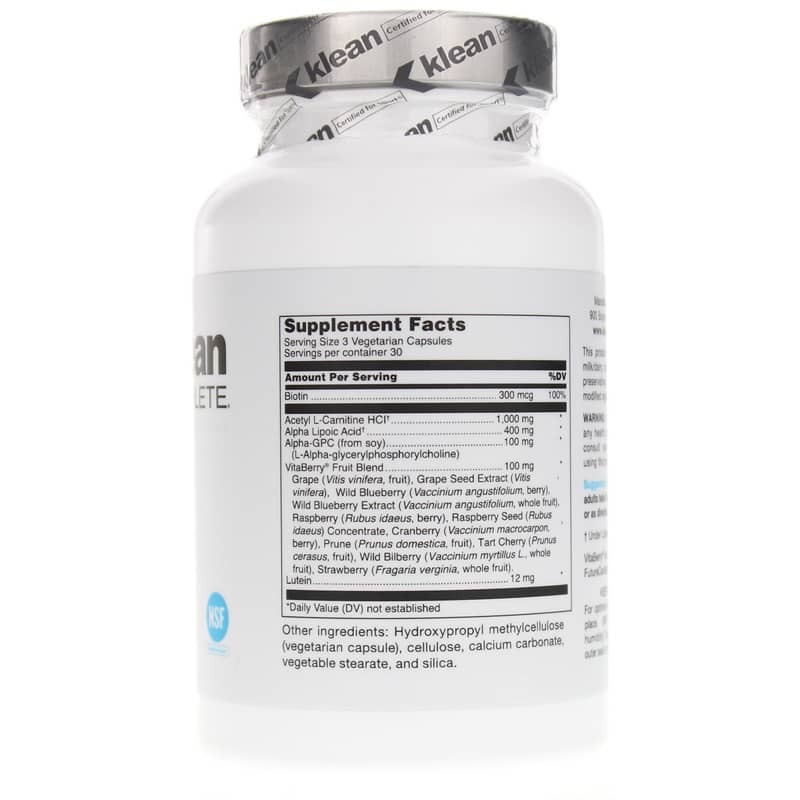 Klean Focus from Klean Athlete may benefit you if you want to take a patented, scientifically researched combination of nutrients and antioxidants to support healthy aging and cognition. 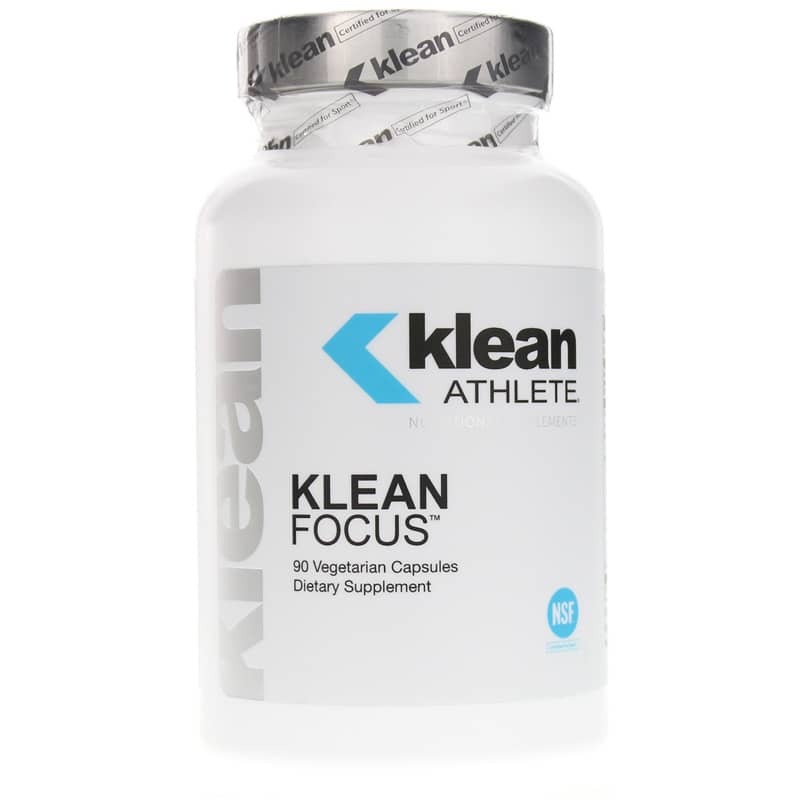 Klean Focus is designed to support brain health, to help your mind perform as well as your body. The patented combination of acetyl-l-carnitine and lipoic acid may help support healthy gene expression and mitochondrial function in the brain. This mix may help transport nutrients into the mitochondria, or your cells' energy factories, where they are transformed into a form of energy known as ATP. This energy helps run the cellular machinery for such activities as brain function and neurotransmission. This formula also contains lutein, alpha-GPC, and a phytonutrient fruit blend. Lutein has traditionally been associated with eye health, but research suggests it may also play a critical part in maintaining brain health. Alpha-glycerylphosphorylcholine, or A-GPC, is a precursor to the neurotransmitter acetylcholine, which helps nerves to communicate with one another and form memories and plays a role in cognition. A potent mix of fruits is included in this formula to provide a powerful antioxidant capacity to help fight free radical stress and support normal brain function. And blueberries and fruit flavonoids may provide memory support and help for a healthy aging brain. Klean Focus is certified by the NSF Certified for Sport program, set up on the back of demand from athletes, coaches, and healthcare professionals seeking assurances that sports supplements were completely free from banned substances. Every product with the NSF Certified for Sportmark has undergone stringent laboratory testing to confirm content, purity and compliance. For best results, adults should take three capsules daily with a meal, or as directed. Contains NO: GMOs, yeast, wheat, gluten, milk, dairy, corn, sugar, artificial coloring, preservatives or flavoring. Adults: As a dietary supplement, adults take 3 capsules daily with a meal, or as directed. If pregnant or lactating, consult your physician before taking this product. Alpha lipoic acid and acetyl-l carnitine have been associated with gastrointestinal upset or skin rash in sensitive individuals. Keep out of the reach of children. This is a wonderful product I was pleasantly surprised by the quick results the first time I tried it. After a few days of taking a product I noticed that my condition was sharper I didn't have brain fog and I was able to focus more intently during all types of strenuous physical exercise. 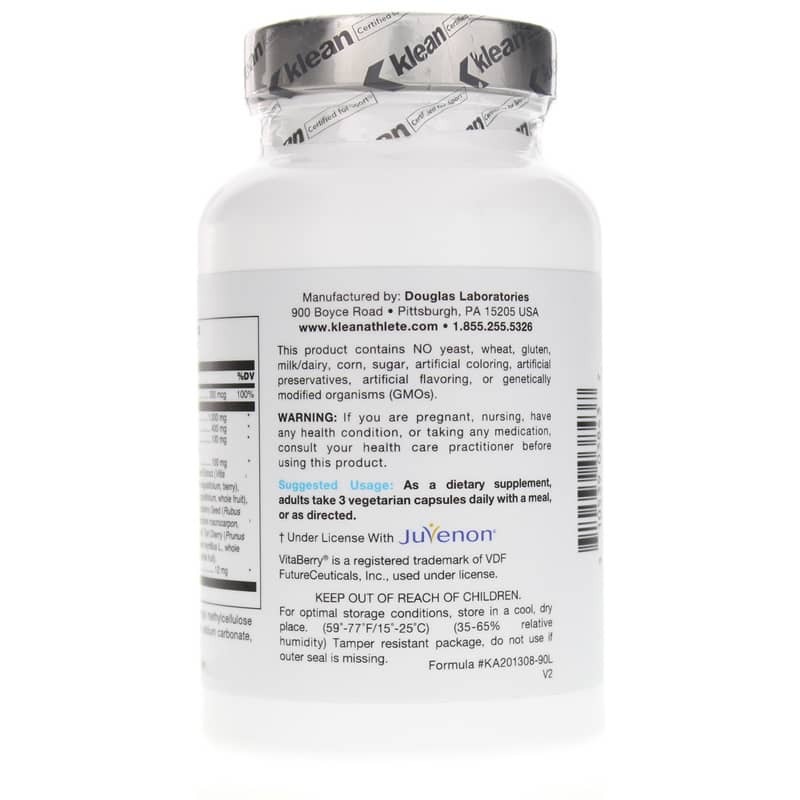 Having mental Clarity is a big deal for me and this product really help me at age 55.